Over the past thirty years we have accumulated a collection of books, scientific papers, conference papers, reports and other grey literature on tropical agriculture, soils and agronomy, and oil palm (>12,000 items). 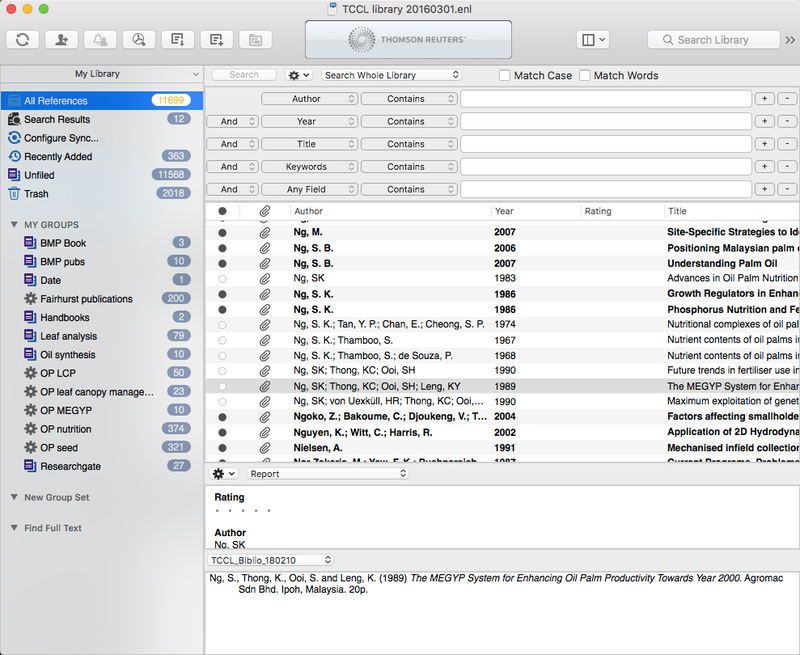 The collection is catalogued in Endnote 8. We are happy to provide clients with leads to the literature on specific topics. Send a request with details of the topic of interest.